The Bank of England was founded just over 323 years ago, in July 1694, at the instigation of King William III. 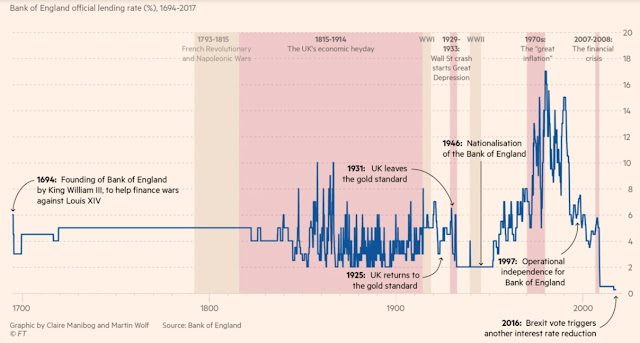 It is the second oldest continuously-functioning central bank in the world, after Sweden’s Sveriges Riksbank, founded in 1668.
made secured overnight loans to commercial banks (under different names). Prior to January 2009, the Bank had never lowered its lending rate below 2 per cent. But it was then lowered to 1.5 per cent, on its way to 0.5 per cent in March 2009 and 0.25 per cent in August 2016. This ultra-easy policy was further buttressed by a huge expansion of the Bank’s balance sheet, which now contains £435bn in UK government “gilt-edged” securities and £10bn in corporate bonds. The July 2016 low of 1.50% had never been seen before form long-term rates in the history of the U.S. 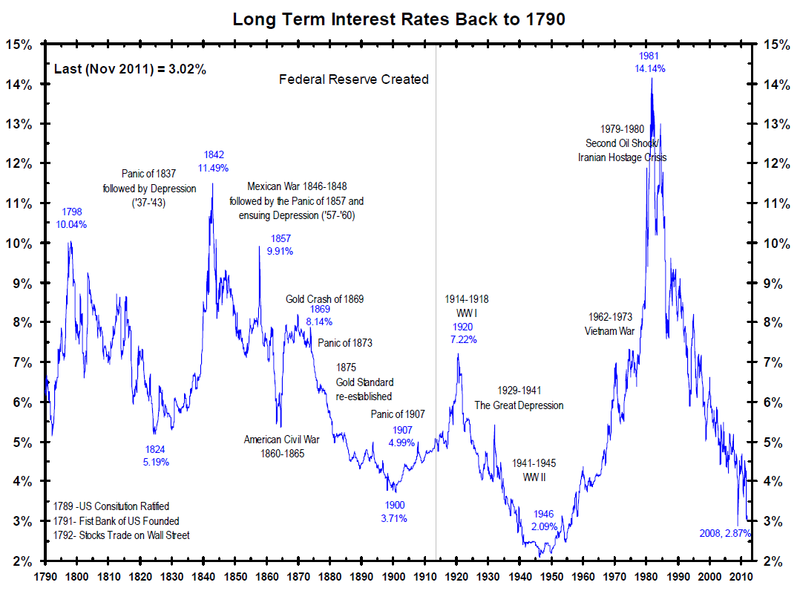 But don't for a minute start to think that interest rates will never significantly climb again. The history of interest rates under different central banks interest rate manipulations has been a history of volatile activity. 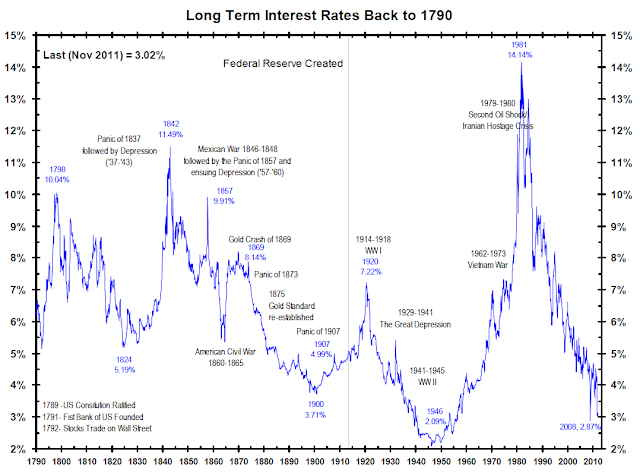 With the obscene national debt why would the Fed let interest rates climb ? The Fed doesn't set rates, they follow the market.